*Why Have a Charter Subscription? Explanation of the charter subscribing process and why it is important that all UM churches have a charter subscription with GCUMM. People of faith, mentoring children of promise. Over 2.5 million children nationwide face a 70% probability of following their parent(s) to prison at some point. Get involved, help lower that chance and enrich these children's lives. 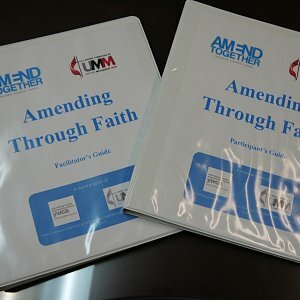 Basic description and order information for the Amending through Faith domestic violence prevention study. Got questions? We’ve got answers to frequently asked questions about Big Brothers Big Sisters. United Methodist Men’s invitation to YOU to join other men to read the Bible through this year. The Bishop’s Award of Excellence is established for the purpose of recognizing congregations and units within the United Methodist Church that extend their ministry to children and youth by creating a faith based environment for children, youth, their families and their leaders to participate in civic youth-serving agencies.